The Orchestral Strings II Full Collection from Vienna Symphonic is a sample-based virtual instrument featuring an eight-player cello ensemble and a six-player double bass ensemble. As a follow-up to Orchestral Strings I, the package includes both the standard and extended library, offering an extremely wide range of authentic articulations, aided by the "randomization" effect inherent in larger ensembles. Performed by players with many years of international concert work experience, the library features over 36,000 samples within 9.8 GB of data. The cello ensemble is led by Argentinian Rubén Dubrovsky, founder of the Vienna Bach Consort, while Martin Deuring, an internationally active solo bassist and founding member of the chamber music ensemble "Ensemble Plus," leads the double bass ensemble. Orchestral Strings II functions as an Audio Units, AAX Native, RTAS, or VST plug-in for Mac OS X and AAX Native, RTAS, and VST plug-in for Windows 7, or as a standalone virtual instrument. Note: Software requires a ViennaKey USB protection device or similar, if one is not already on the system. 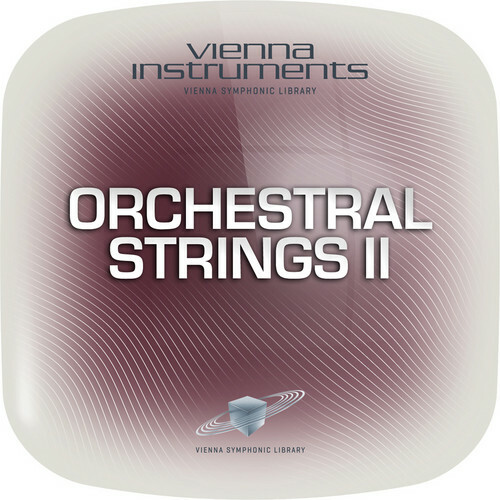 Vienna Instruments - Orchestral Strings II from Vienna Symphonic is a sample-based virtual instrument, featuring a Cello Ensemble (8 players) and Bass Ensemble (6 players.) The leading voices of the two string sections are Argentinian Rubén Dubrovsky, founder of the Vienna Bach Consort and Martin Deuring, an internationally active solo bassist and founding member of the chamber music ensemble "Ensemble Plus." The articulations of the Cello and Double Bass Ensembles correspond to those of the Vienna Instruments Orchestral Strings I. Playing styles includes fast Interval Performances in legato, marcato and spiccato styles, Performance Trills, "harsh," spiccato and pizzicato Repetition Performances, plus artificial harmonics as well as various ponticello articulations, that is, tones played near the bridge. Both ensembles' tonal ranges are extended with the Cellos' staccatos and sustains now extending up to A5 and the Double Basses up to G4. Load times are extremely low and 64 stereo voices per instance can stream from the hard disc. A RAM optimizing utilities clears unused samples out of RAM. Users can easily create their own instruments, using "drag and drop" functionality, and the instrument provides the ability for velocity crossfades and release control to be switched on or off in real time. Note: Software requires a ViennaKey USB protection device if one is not already on the system. 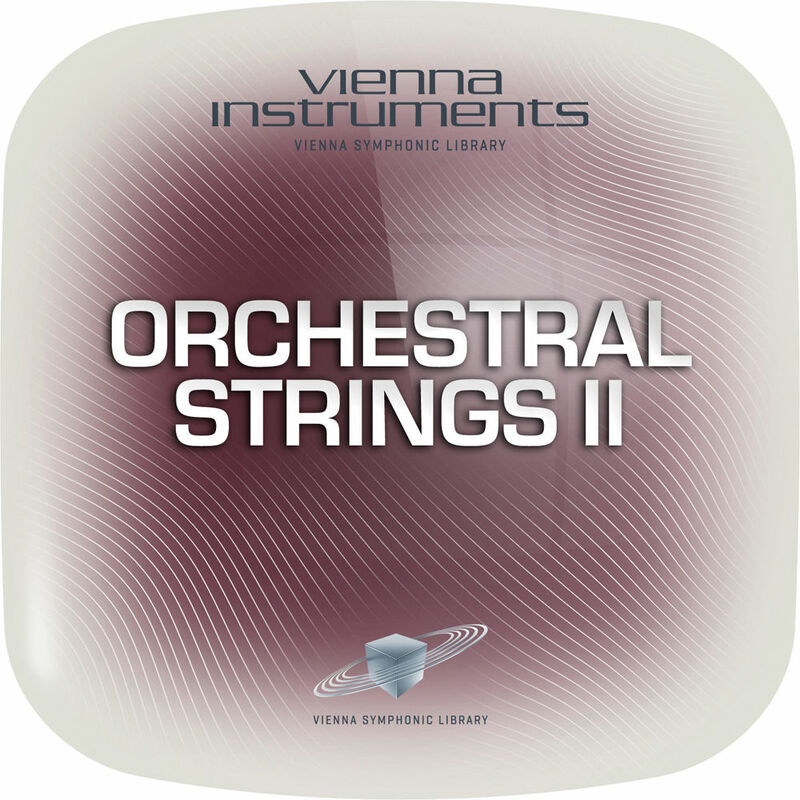 Orchestral Strings II Upgrade to Full Library from Vienna Symphonic Library provides additional articulations and samples for the Orchestral Strings II virtual instrument Standard Library (required). The instrument features a Cello Ensemble (8 players) and Bass Ensemble (6 players.) The leading voices of the two string sections are Argentinian Rubén Dubrovsky, founder of the Vienna Bach Consort and Martin Deuring, an internationally active solo bassist and founding member of the chamber music ensemble "Ensemble Plus." The special qualities of this instrument are a result of the multitude of performances it contains. With larger ensembles, the random effect of articulations like Performance Trills or fast Legatos is especially pronounced, lending those patches remarkable authenticity. The larger the ensemble, the more intense the random effect, that is the natural "inexactitude" among the musicians when changing from one tone to the next. This randomization gets extra attention with the "Repetition Performance Pizzicatos" only available with the large string ensembles recorded in two different tempos. The Vienna Instruments user interface is clearly arranged and includes pre-configured patches for immediate playability with no learning curve. The interface uses a powerful proprietary streaming audio engine that can load up to 3,456 articulations (patches) on one MIDI channel. Load times are extremely low and 64 stereo voices per instance can stream from the hard disc. A RAM optimizing utilities clears unused samples out of RAM. Users can easily create their own instruments, using "drag and drop" functionality, and the instrument provides the ability for velocity crossfades and release control to be switched on or off in real time. Note: This is a license that unlocks the Extended Library content already included with the purchase of the Standard Library.